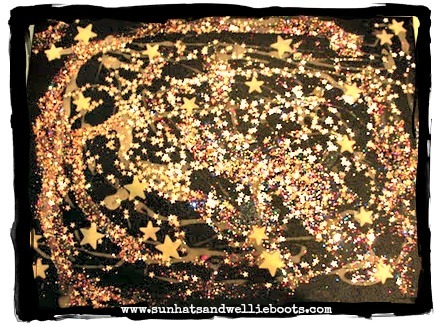 We're exploring a star theme this week. Minnie is becoming fascinated by the night sky again, & loves stargazing from her bedroom window, & spotting the moon as it appears in the evening. 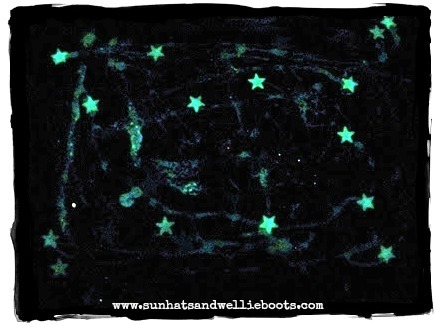 We've created many canvases over this last year but never created a canvas that could be seen during the dark of night. 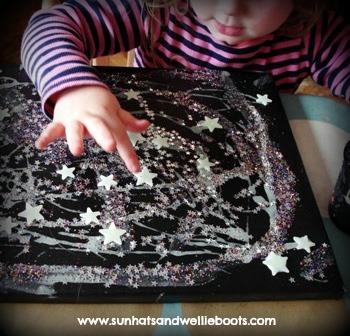 Minnie often comments on the glowing stars & how they twinkle so this seemed a perfect way to explore her interest. 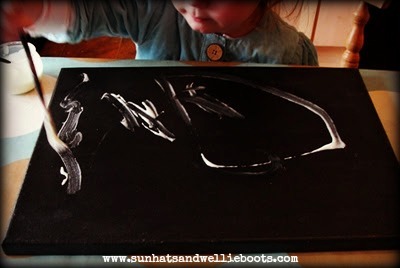 We painted an art canvas black (with acrylic paint) & left to dry overnight. 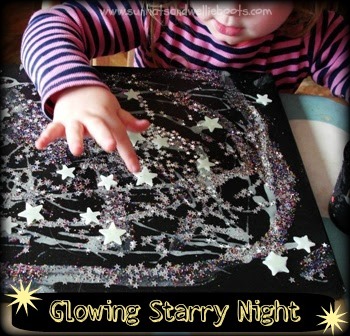 Then using glow in the dark paint mixed with a little PVA glue Minnie started to create her starry scene. 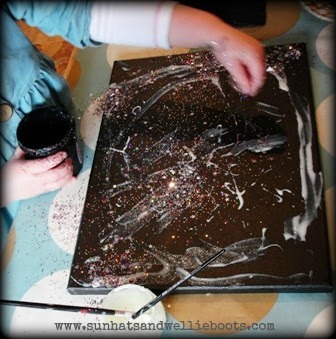 She painted & dripped the paint over the canvas, before adding some foil stars & coloured glitter. 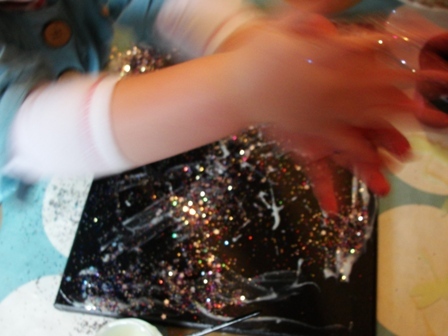 She had so much sensory fun with the glitter, sprinkling, rubbing, patting, & pouring it all over the canvas. 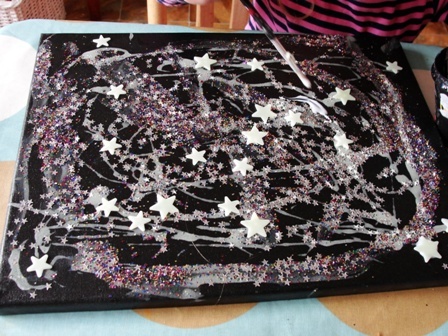 And her starry canvas was finished! ﻿﻿﻿A nice way to investigate the transition between day & night. Could also provide a little reassurance at bedtime if you have a reluctant sleeper.